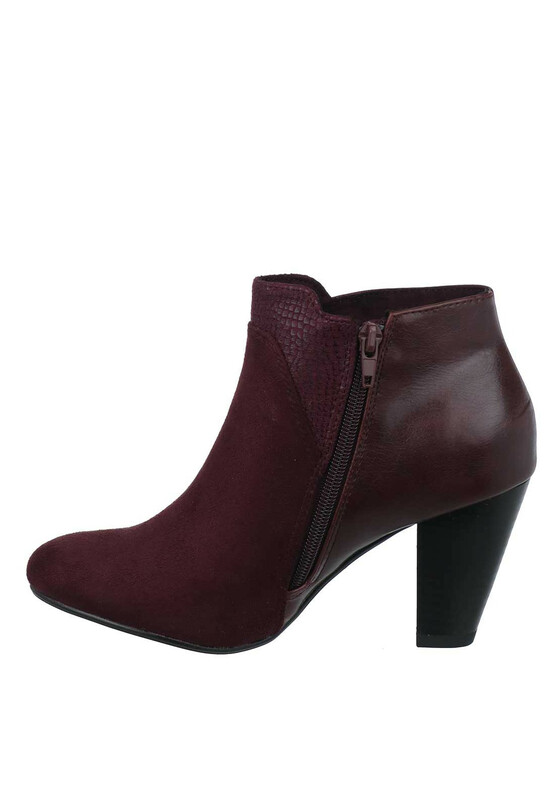 Stand out from the crowd in the Albony Way boots by Kate Appleby in wine. This gorgeous pair are sure to get you noticed and have a sturdy chunky tapered heel, decorative outer zip and a handy side zip fastening. The signature red sole adds an exclusive finish to this perfect pair. Material: Upper- Textile and Other Materials. Lining and Sock- Leather and Other Materials. Sole- Other Materials.